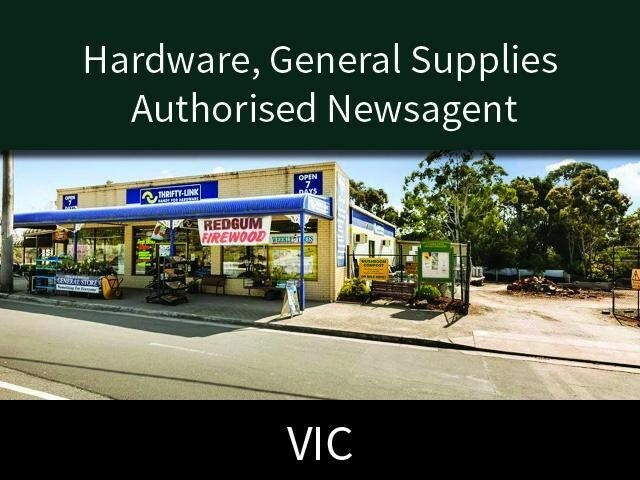 This profitable hardware, general supplies and authorised newsagent business that has been servicing the community for over 80 years. This business offers a great opportunity for a tree change while also providing a secure future with multiple income streams. The business offers a full range of hardware supplies and services a great range of building and garden supplies, Key cutting service, paint mixing, and fire wood supply. Also on offer to its customers is an authorised Swap and Go gas bottle exchange, on-site re-fill for BBQ bottles and gas supply to the community - the third largest turnover item for the business. A water cartage service operates year round and is heavily utilised during the summer period. The store's eclectic range has meant that locals and visitors can almost always find what they are looking for. This Homeware/Hardware Business is one of 50 businesses for sale in Frankston, Victoria, and one of 2 Homeware/Hardware Businesses in this region that a business for sale currently has on offer. This Homeware/Hardware Business is for sale in Frankston for the asking price of $450,000 WIWO and is new to the market.